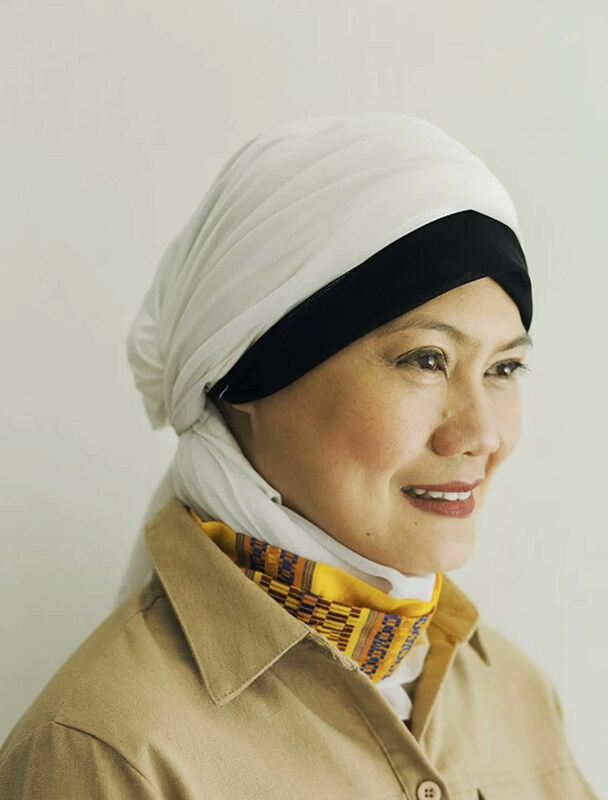 Last year, during a special session of Congress on the matter of martial law in Mindanao, Samira Gutoc spoke as one of the survivors of the Battle of Marawi. 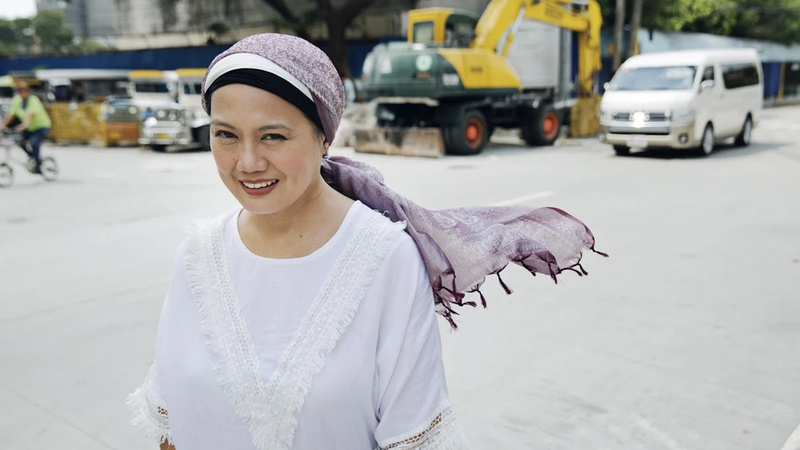 Gutoc asked the government to lift martial law in Mindanao, and asked the government to listen to them, the people displaced by the fighting in the country’s only Muslim city. Last month, she found herself inside the Commission on Elections building. 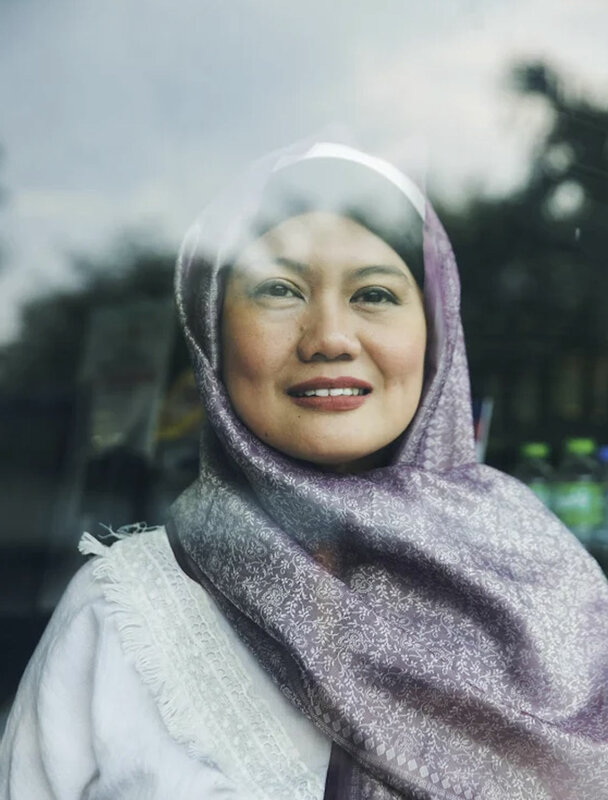 She was there to file her candidacy for the Senate under the Liberal Party banner, after having served as a commissioner with the Bangsamoro Transition Commission, which was tasked with drafting the Bangsamoro Organic Law. She has worked as a civic leader, journalist, environment and women's rights advocate. She was a legislator who served as member of the Regional Legislative Assembly of the Autonomous Region in Muslim Mindanao (ARMM). She helped organize the Ranao Rescue Team, a group set up in response to the humanitarian crisis that ensued after Battle of Marawi. 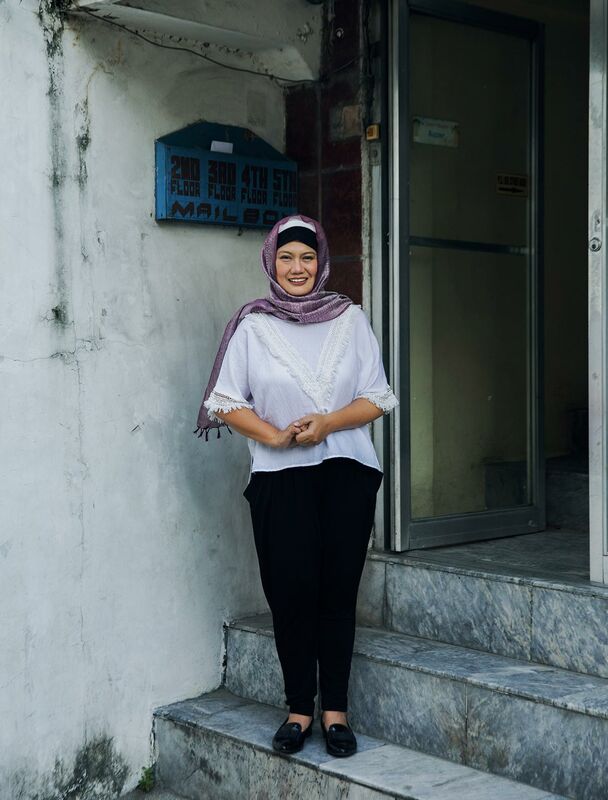 Samira is a hijab-wearing Muslim, and she runs for the Senate in the hopes of bringing the 20-year absence of a Muslim senator from the Upper Chamber to an end. 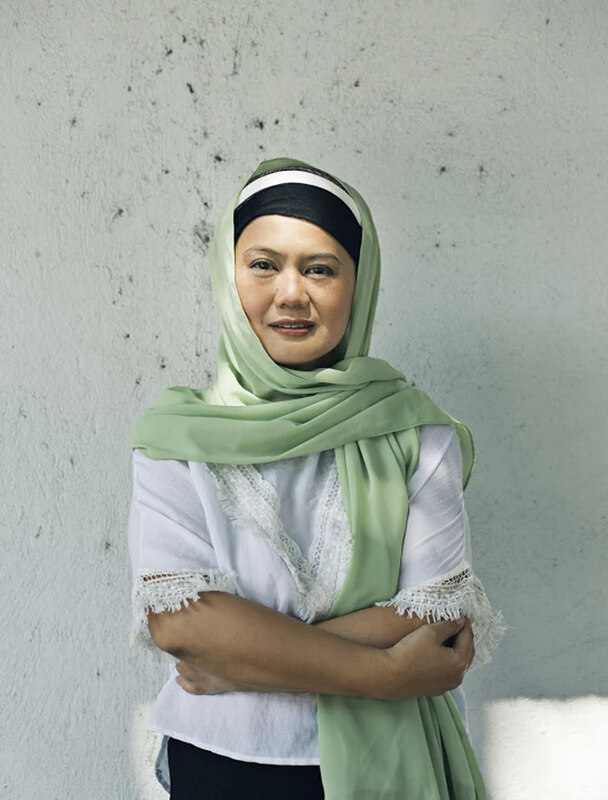 SAMIRA GUTOC: I am Samira Gutoc. I have survived two decades of being a community organizer. I have worked as a writer and reporter. I lived in Marawi City after finishing college, navigated different sectors as a woman leader, a youth leader, and an anti-crime leader. I have been based in Marawi for 20 years and I describe myself as a mother, a Muslim, and a Moro. I am a Filipino woman working hard to help improve the lives of my family, my community, my people. ESQ: Why are you running for a Senate seat? SG: I am running to take a stand. I am running to take the voices of my community out into the national consciousness: the people who have been victims; the people who have tried to survive and to give inspiration and hope to people who have lost everything; the people who have lost so much in their lives. I am running for the Senate to help these people find and provide solutions and address the needs of victims of disasters, of calamities, of war and displacement. ESQ: Who convinced you to run? SG: The circumstances by which we have seen conflict and war have given me cause to seek a seat in the Senate. I have seen the suffering of humanity on a large scale: 200,000 people who were displaced by the Battle of Marawi City last year. I don’t want the struggles and dangers we went through repeated anywhere in the Philippines. I felt that I should be somebody who can solve problems and offer solutions so a crisis of the Battle of Marawi’s magnitude won’t happen again in this country. We need better legislation for disaster preparedness. Why I am running? Why not? 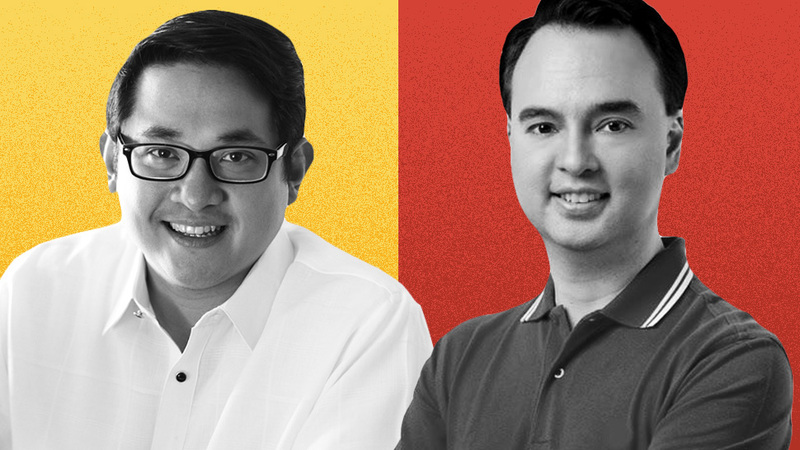 For more than 20 years, we haven’t had a Muslim representative in the Philippine Senate. This, to me, is a representation issue. "I don’t want the struggles and dangers we went through repeated anywhere in the Philippines. I felt that I should be somebody who can solve problems and offer solutions so a crisis of the Battle of Marawi’s magnitude won’t happen again in this country." ESQ: Do you think you are qualified to be a Senator? SG: I believe so. I have studied law. I have served as a member of the legislative body of the Autonomous Region in Muslim Mindanao (ARMM). I fought for education. I fought for women in the ARMM. I stood as an advocate for freedom of information. When I was an assemblywoman, I was a strong advocate for FOI and the RH Bill in the ARMM, as well as women’s issues, ICT, and technology. ESQ: What were your apprehensions in running for senate? This is my first time to run, and in a national platform. I think you can imagine the struggles of a newbie trying to make kapa everything in terms of running a national campaign. But I have a very dynamic team, and we are trying to organize everything. It’s not easy. Funding is a challenge, of course I dont have that [much] resources yet. But we are staying positive... I know I can do this, I believe I can make good changes happen, not only in my region but also in the entire country that we all love. ESQ: Tell us about your childhood. SG: My parents were middle-class government employees assigned to Saudi Arabia. They worked their way up the ranks. My mom came from a huge family. She was strong, and she is my strength. My dad was not really from the so-called royalty. He studied in the University of the East on a law scholarship, and at the University of Mindanao’s College of Foreign Affairs on his own. He did not have that much money, but he found his way by working at different jobs in Manila. My independence really comes from them. I had a privileged childhood. My father worked at the Philippine embassy in Saudi Arabia… From grades one to six, I was a Saudi kid. Because my dad was the Consul General at the Philippine embassy, there was peer pressure for me to do well in school because he was a boss and the school was under the Philippine embassy. My mom became the administrator of the school, so their attention was focused on my exceling. We would host the families of Filipino workers who had no homes. I saw their pain, and I would have to step carefully around the house so I didn’t trample the bodies of homeless Filipino workers sleeping on the floor. ESQ: When you came back to Manila, how did you confront discrimination against Muslims? SG: With acceptance. You have to accept that there are people who want to know, or who do not want to know, and who do not know what it is like to be Muslim. I would feel low at times. I applied at mass media firms and, when I did not pass their requirements, I took up a master’s course in international studies. Then, I went back to Marawi, since my mom was building a house there and I managed the construction of the building. Eventually, I was admitted at the Mindanao State University’s College of Law. ESQ: What, for you, is wrong with Philippine politics today? SG: People on the fringes like us cannot participate fully. We are always seen as nuisance: We’re ‘special,’ and we’re ‘different.’ We are constantly boxed and labeled. But when there are only 24 of you in the Senate, you represent the national interest, the interests of those who cannot feel justice, those who cannot feel democracy. People from the fringes, our minorities, cannot get their voices out. It’s not just a party-list platform. It’s not just about party-list. It’s also about people in the Senate who control national legislation. They control the national budget’s direction and they control the policies, philosophy, and moral direction of the country. As a senator, as a Senate leader, you can actually mobilize all 100 or so million Filipinos in the direction you want, based on what we share as Filipinos—our kinship, our culture. This should be guided by philosophical foundations that are espoused by the senators who define what the laws are. But we lost that kind of grounding. The time of Saguisag and Manglapus is gone. Those days of legendary Senator Pendatun, Senator Alonto, with visions that fed our hearts and our minds. We have to make it right, into more than just policy speeches and policy directions. We have to bring this into legislation that touches the core of making us more inclusive as a community. Inclusivity, I think, is something not seen and not felt and or implemented much right now. You could be somebody popular and yet, stand without a platform. You could have platform but not be popular. "People on the fringes like us cannot participate fully. We are always seen as nuisance: We’re ‘special,’ and we’re ‘different.’ We are constantly boxed and labeled." ESQ: If you win a Senate seat, what would be the first law you will seek to pass? SG: I would craft a law on the rights of internally displaced persons (IDPs). When you address IDP rights, you address the lives of our people who are survivors. These people are survivors of calamities that happen to us every year. Imagine, climate calamity refugees now top the number of refugees in the Philippines. You would have dozens of calamities a year that affect even big provinces and urban centers. Tacloban’s economy is damaged, the economy of the Central Visayas was adversely affected by an earthquake, followed by a massive typhoon. In the case of Zamboanga, when the Zamboanga Siege happened, the Zamboanga Peninsula and BaSulTa (Basilan-Sulu-Tawi-Tawi) area were badly affected because Zamboanga is their economic center. When Marawi was destroyed, it destroyed the economy of Lanao del Sur and its population of one million. Marawi is also the educational capital of the Bangsamoro, this is where Mindanao State University (MSU) stands. It was good that MSU was insulated from the fighting. I think of the rights bill that is pending in Congress, or archived in the Senate. For me, that’s of great importance because I’m an IDP. When you address IDP rights, you address a sector of the population that needs to be protected. We need to protect the survivors, and those who may face challenges in survival in the future. Calamities can’t be avoided, but their long-term economic and social impact can be mitigated to give the survivors of these calamities enough support so they can rebuild their lives and communities and, eventually, return to being fruitful citizens of our nation. Another bill that is pending is the anti-discrimination bill. I have fought against the victimization of LGBTQ people in Marawi. I will always say that the special sectors, vulnerable sectors, and minority sectors within our society should always be protected as well—including the LGBTQ community. We should always be reminded of the need for, and demand, non-discrimination among Filipinos. You’re going to have to be categorical about this, not get caught in a double-standard trap. On women, of course, the Magna Carta for Women is already in place, as is the Reproductive Health bill. We want oversight on the gender and development laws’ implementation so every local government unit will activate their women’s councils. We want to see these councils activated on a national scale. ESQ: You were part of the Bangsamoro Transition Commission that drafted the Bangsamoro Organic Law (BOL). What is your take on BOL? SG: The BOL is an instrument of national legislation to address the aspirations of the Bangsamoro people. It is a social reconciliation instrument in social justice as provided for by the Philippine Constitution and our legal principle that social justice is the equalization of forces in society. This law is an equalization measure, because people who have been denied their identity, history, and political self-determination are given back those things. The Philippine Constitution does recognize that autonomy is fundamental. Federalism? I don’t think there’s a need for charter change at this time when we are so polarized. We are so divided among political colors. We have people on the fringes who don’t have WiFi, or TV, or radio. I don’t think it’s healthy for charter change to be decided by the few provinces that have full access to media. This will not be democratic. ESQ: What are your thoughts on peace and security in Mindanao, as well as your stand on Marawi’s rehabilitation? SG: We’ve seen in other countries that economic stability is the key to a developed community. Peace and security is really the key towards economic success. It is a dramatic example that our Filipino economy, our Filipino identity, is far from being tight. It is so fragmented. Human security is not just about political security. It is also about environmental security and food security. Peace and security in Mindanao is very important. These forms of human security are interconnected with each other. When you don’t have economic security, you’re not going to have political security. All of these aspects of human security are of equal importance. Peace and security are important. The reason we don’t have tourists in Mindanao and have no long-term direction for economic development is because we still have a rebellion. I’m hoping that with the BOL in place, we can move progressively closer to peace, stability and security. "We’ve seen in other countries that economic stability is the key to a developed community. Peace and security is really the key towards economic success." ESQ: As an opposition candidate, what do you think of this administration, of martial law in Mindanao? SG: This administration has to do more to ensure the dignity of human beings across the board, economically and politically. As an opposition candidate, I am with the sector that reminds those who represent this state—the administration—that there must be oversight. There must be balance. There is the other side of the debate, especially for those who cannot access the necessary administration programming. We have to observe democratic principles. This is the Philippines, the oldest democracy in Asia. Let’s not be too sensitive about criticism. If we all agreed 100 percent of the time, then we wouldn’t be Filipinos at all. I would like to see the administration listen, instead of react, to the criticism as well as what it wants to hear. This is a different martial law from that of the 1970s. We acknowledge that. The President has the prerogative, the executive has its prerogative, to declare martial law. However, we in Marawi feel the most aggressive impact of this martial law. We fear that there will be more ‘pacification measures’ used to address terrorism to the detriment of our people, especially the Bangsamoro. Yes, national security is determined by the Cabinet clusters on peace and security in Malacañang, but there is also a cluster on women. If the men in uniform make a decision, the input and decisions of women who are not in uniform should also be considered. Martial law was not co-decided. It was decided by a few. ESQ: What is your take on inflation? The TRAIN Law and its effects? SG: You are the protector of the people and we in the opposition will assert the interest of the people. Living is growing more difficult for everyone—the major increases in the prices of rice and gasoline are hurting us. It is important for people to stand up. The IDPs are locked in various layers of poverty. I came from Marawi where I saw babies surviving on water and sugar. Poverty is the most obscene spectacle there is. It must be eliminated. ESQ: What are the challenges that you foresee in the coming months as you join the campaign, as a Muslim woman running for a Senate seat? SG: Social media might continue to belittle the value of my platforms. You’re either here, or there. They belittle what I can do because of the dilawan label. As a Mindanaoan who has been working in Mindanao for 21 years, I think the challenge is how to fight the norm. My story is one of survival. How can it be understood and accepted by the nation? For me, that is a challenge. I don’t have any scandalous stories to share. I’m not from a big family or a political clan. I have never been a big politician. Competing with other big names in politics and the sphere of celebrities is my challenge. I choose to meet that challenge by sticking to my platform and making it seen and heard by the Filipino public. At the end of the day, our political landscape cannot simply be politicians debating on platforms. The debates should grow into principled discussions that include the people themselves. Our people are more intelligent now. I appeal to their intelligence to give substance to these discussions. I appeal to the public and our leaders that we take the best lessons from these discussions and act to build a better nation with them.